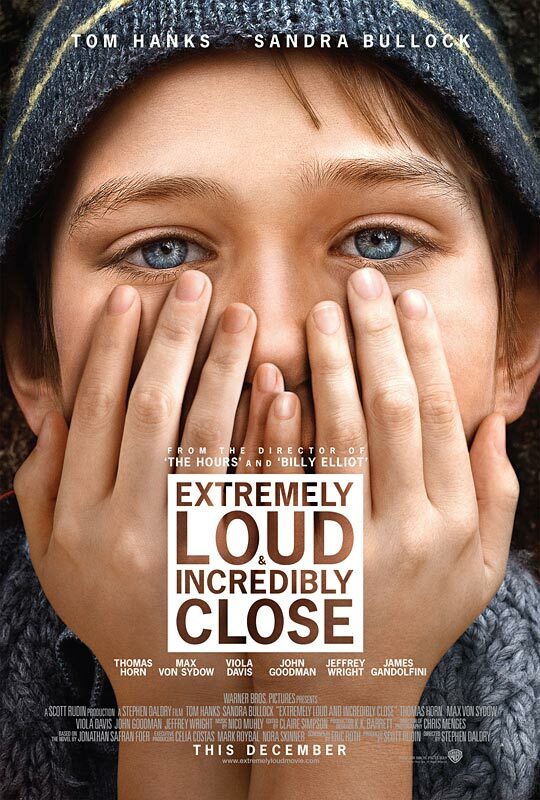 Reel Talk Online: First Look: "Extremely Loud and Incredibly Close"
First Look: "Extremely Loud and Incredibly Close"
So this is another one of those films folks have been buzzing about for months, throwing around words like "Oscar worthy" and the like. Extremely Loud and Incredibly Close teams Oscar winners Tom Hanks and Sandra Bullock together in a post-9/11 drama about, well, 9/11. The pair play the parents of a nine-year-old boy (Thomas Horn) whose father is killed in the attacks. The mother and son struggle to move forward after his death. But the son, a precious little one, makes it his mission to run the streets of Manhattan looking for a mysterious key left behind by his father before he died. The trailer isn't all that enticing as one is led to believe. But at least we can hear a little U2 while we sleep-watch it (and yearn for more Viola Davis and John Goodman in it). Check it out for yourself. Hopefully we get to see something better soon. 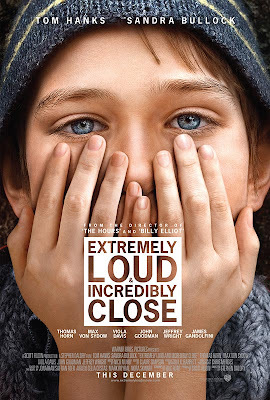 Extremely Loud and Incredibly Close hits theaters January 20, 2012. So syrupy and overly emotional. I'm sure the Academy is going to love it. Great choice of song for the film. I can see myself shedding a tear while watching this film - did they really kill Tom Hanks, I thought there was an unwritten rule about not doing that. Even in Saving Private Ryan he doesn't really die - he's just resting a bit. I think having U2 in the trailer is a major plus. Their song adds a bit of epicness to the whole thing. I'm looking forward to the movie. Hanks will do good, Bullock I have to wait and watch.